What has happened to the lost art of memorising poems? Why do we no longer feel that it is necessary to know the most enduring, beautiful poems in the English language 'by heart'? In his introduction Ted Hughes explains how we can overcome the problem by using a memory system that becomes easier the more frequently it is practised. The collected 101 poems are both personal favourites and particularly well-suited to the method Hughes demonstrates. 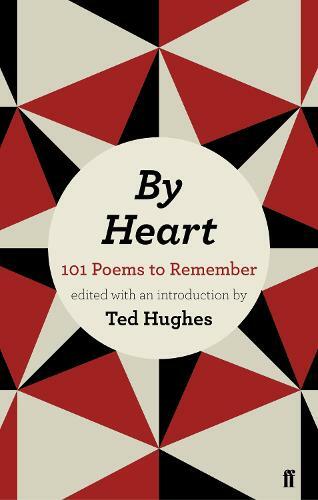 Spanning four centuries, ranging from Shakespeare and Keats through to Thomas Hardy and Seamus Heaney, By Heart offers the reader a 'mental gymnasium' in which the memory can be exercised and trained in the most pleasurable way. Some poems will be more of a challenge than others, but all will be treasured once they have become part of the memory bank. This edition is part of a series of anthologies edited by poets such as Don Paterson and Simon Armitage and features an attractive new design to complement an anthology of classic poems.